Des Wilson returns to the world of poker literacy this month with the follow up to the hugely successful Swimming with the Devilfish with another offering to further teach us the story of poker. This time round, Ghosts at the Table tells us the history of poker around the world, and looks to uncover and expose some of the great poker myths. The book starts way back in the Wild West where Des actually visits the legendary town of Deadwood to ask a question about one of the most iconic stories in poker "Was Wild Bill Hicock really holding Aces and Eights when he was shot?" Des has his doubts. The book progresses to the early days of modern poker and profiles legends of the game such as Doyle Brunson, Amarillo Slim and Benny Binion. With countless stories of the age of road gamblers and the violence and decadence that accompanied them, all internet players will be astounded how different things were back then. We also are treated to some of the more modern day fables in poker, such as the infamous cash games that went on between real estate millionaire Andy Beal and the team of players known as the Corporation, which included Phil Ivey, Doyle Brunson and Jennifer Harman. We end at….the end, for now at least, the 2007 WSOP in Vegas. Wilson tells the story of the rise and rise of online poker and its impact on the WSOP. The effect that television and celebrity players have had on the game and profiles some of the next generation of the poker elite. Ghosts at the Table is a fantastic read, much as you would expect from writer of Wilson's calibre. 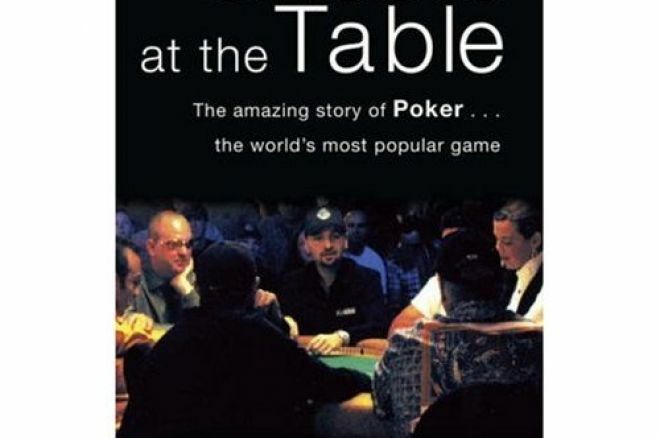 I for one love stories about poker players, and although perhaps slightly biased, I feel that this is the sort of book that could easily be enjoyed by an audience completely ignorant of whether a flush beats a straight and what the term bad beat refers to. What makes this latest offering from Des a must have is undoubtedly the way in which it is written. Wilson takes on the role of detective from start to finish in this outing and the book is almost as much about his journey as it is about the poker players he writes about. Ghosts at the Table is available from this week. Ed note: Play Johnny Chan in his very own poker room and pick up a $1000 new player bonus. Join Chan Poker now!